Liverpool Today is a new media website based on past and present districts of Liverpool. You can view our Website at a glance, this page is the portal for the main services that we link to, and you will find news, weather and local services linked from here. There are maps displayed to help you get around as a visitor, and more importantly, a Local District and Districts Today menu system which will offer both the history of our area, and also a current 'what's on' in the way of each area and its latest news. There is something for everyone here and we hope you enjoy your stay! Liverpool is a city of diversity and it boasts the most Georgian buildings in the UK, Europe's oldest Chinatown, a number of striking Victorian buildings and plenty of world-class attractions. The historical Albert Dock was restored in the 1980s and is now one of the city's most popular attractions, housing chic restaurants, bars, shops and museums, including the Merseyside Maritime Museum and the Tate Liverpool. The city boasts two world-class football clubs, Liverpool and Everton, and fans can explore the grounds of their favourite teams. There is also plenty of Beatlemania to satisfy fans, including the International Beatles Week every August, and several Beatles-related museums and points of interest. Liverpool is well-pedestrianised, and visitors can enjoy many of the city's sights and sounds on foot, but taxis, buses and trains are readily available. An underground system also operates between the city's four main train stations. The city is relatively easy to negotiate by car, and there are several car rental agencies available. A great way to explore the city and its surrounds at a leisurely pace is on the Mersey Ferry. A regular service links Liverpool's Pier Head to neighbouring Birkenhead on the Wirral. During World War II, the White Star Line building suffered damaged to her gable following the Liverpool Blitz, and she was not rebuilt until the late 1940s. Whilst many buildings were destroyed in the World War II attacks, Albion House survived due to the cast iron girders that were installed by the same engineers who built RMS Titanic. 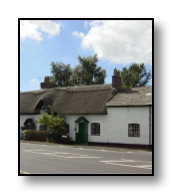 Welcome to the official website, guide and online presence for the historic village of Hale designed to help you find out about the village and make the most from your day out here if you plan to visit the village. Liverpool has been described as having "the most splendid setting of any English city. At 53°240N 2°590W (53.4, 2.98), 176 miles (283 km) northwest of London, located on the Liverpool Bay of the Irish Sea the city of Liverpool is built across a ridge of sandstone hills rising up to a height of around 230 feet (70 m) above sea-level at Everton Hill, which represents the southern boundary of the West Lancashire Coastal Plain. The Mersey Estuary separates Liverpool from Birkenhead, Wallasey and the Kirby[disambiguation needed] sands to the south west. The boundaries of Liverpool are adjacent to Bootle, Crosby and Maghull in south Sefton to the north, and Kirkby, Huyton, Prescot and Halewood in Knowsley to the east. Liverpool's history means that there are a considerable variety of architectural styles found within the city, ranging from 16th century Tudor buildings to modern-day contemporary architecture. The majority of buildings in the city date from the late-18th century onwards, the period during which the city grew into one of the foremost powers in the British Empire. There are over 2,500 listed buildings in Liverpool, of which 27 are Grade I listed and 85 are Grade II* listed. The city also has a greater number of public sculptures than any other location in the United Kingdom aside from Westminster and more Georgian houses than the city of Bath.This richness of architecture has subsequently seen Liverpool described by English Heritage, as England's finest Victorian city. The value of Liverpool's architecture and design was recognised in 2004, when several areas throughout the city were declared a UNESCO World Heritage Site. Insight 2 Drive Ltd strives to offer the best quality tuition and training available. It pledges to look after its trainers, customers, clients and work as a team. Insight 2 Drive Ltd encourage and help it’s trainers to continue to develop on a personal and professional level. Click on the logo to be taken to our website! Metquarter is situated in the heart of Liverpool and plays host to aspirational brands such as MAC, Hugo Boss, Jo Malone, A|X Armani Exchange and Diesel. Easy Driver Training a Liverpool driving school has a highly qualified team of trainers which can cater for all your needs. From the basic learner and pass plus course, to the more experienced driver looking to achieve a higher level of driving / This includes - the RoSPA Advanced test, IAM Advanced Test, Cardington Special DIAmond Advanced and Special tests. First two lessons - £10 each! Since 1893 E-MAIL DIAMANT RED FORMULA toothpaste offers whiteness and brightness to your teeth while respecting the tooth enamel. The red formula with natural light reflectors and extra-gentle polishing agents delivers an immediate whitening effect right after brushing by adding pink colour to the gums which adds sparkle to your pearly whites. Welcome to the official historical website about St Luke's Bombed Out Church. Discover some very rare interior pictures and read all about its full history and how it was once the Corporation showpiece for Liverpool. 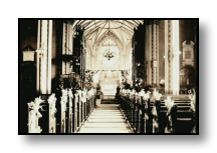 The Church holds amazing history and is still open to this day for further viewing and exploration. Maelstrom specialise in highlighting the plight of local campaigns and abandoned buildings in the North West. If you have a campaign to be developed, let them assist you further! Following years of dereliction, it was bought and the owners restored the building to its former glory, returning to Norman Shaw’s original wide open design of the White Star Great Hall, which now seats 210 people. The building now operates as a 64 bedroom luxury Titanic-themed hotel, and is also a popular destination for afternoon tea, conferencing and a luxury spa. The attic storey caretaker’s rambling flat has also been converted into Liverpool’s first rooftop champagne bar, called the Carpathia Bar and Restaurant, which overlooks The Strand waterfront and offers spectacular views of The Three Graces. It is named after the Liverpool vessel, RMS Carpathia, which rescued all 705 Titanic survivors.